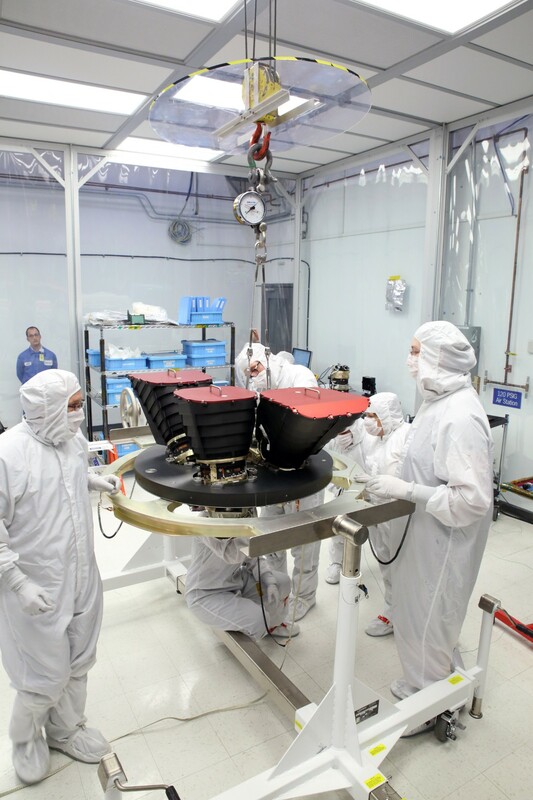 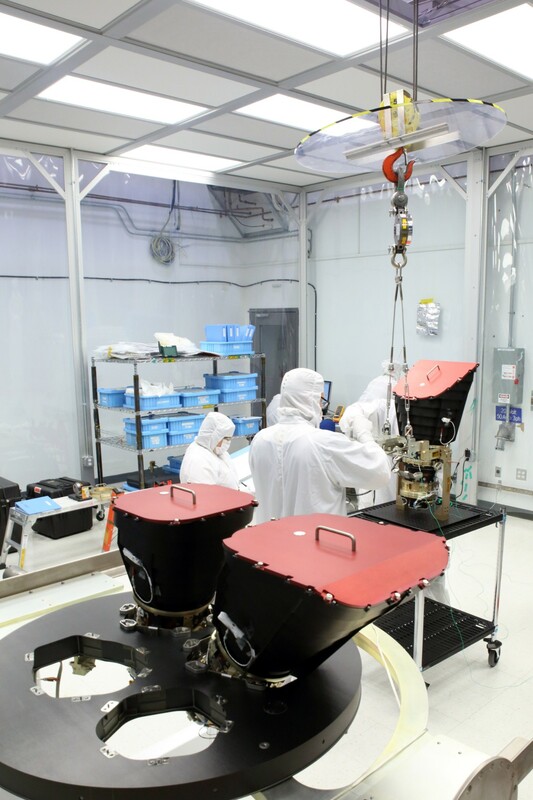 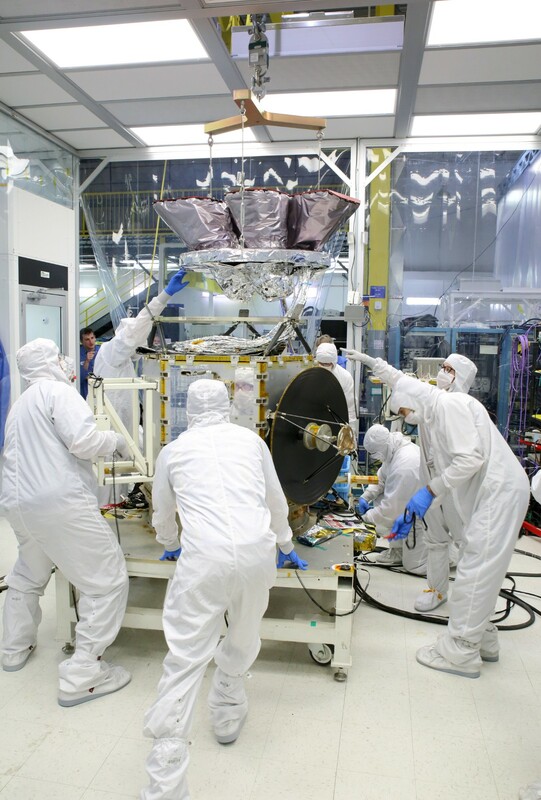 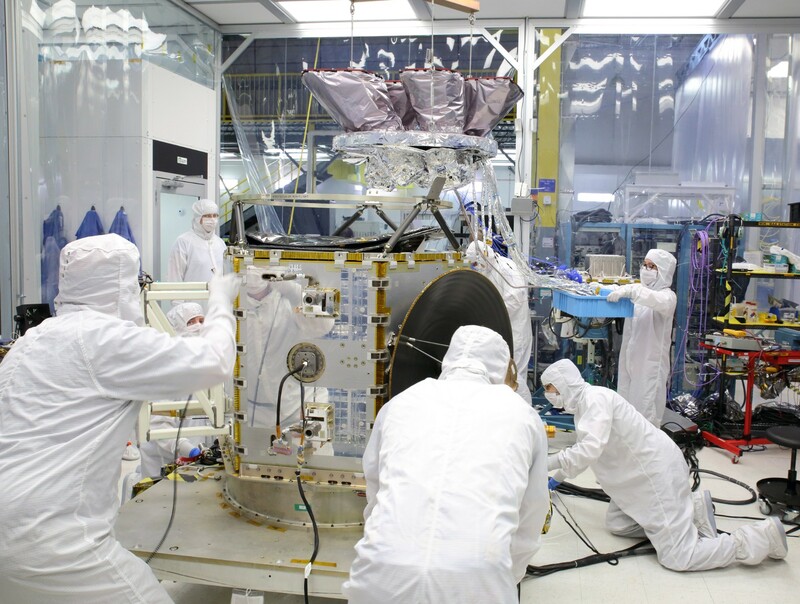 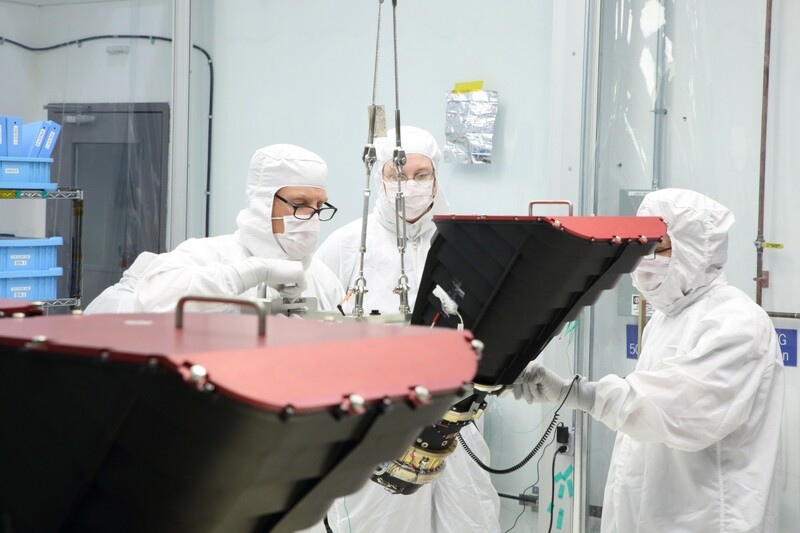 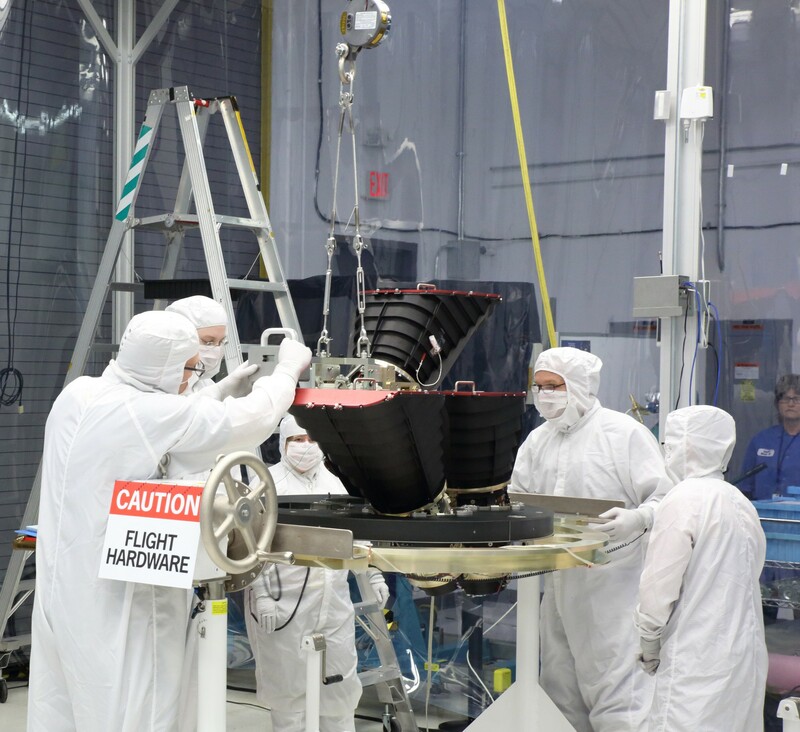 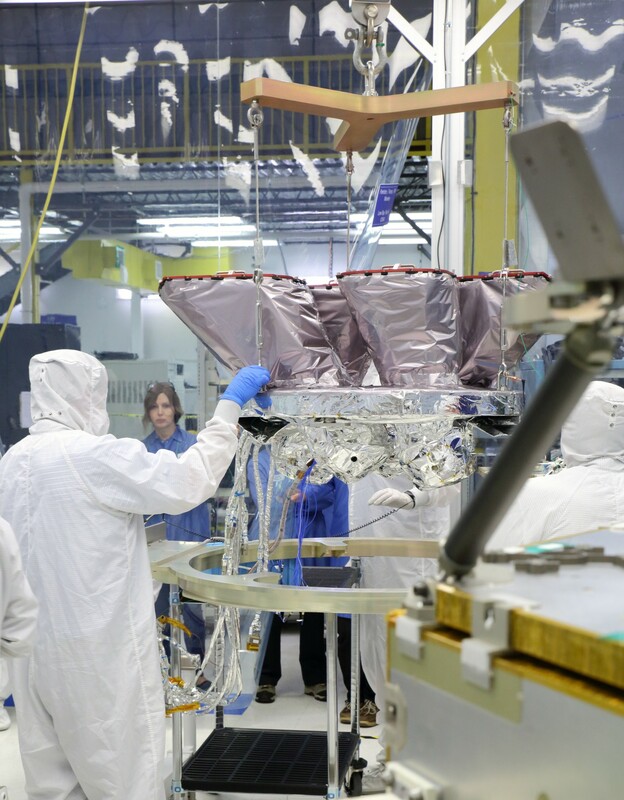 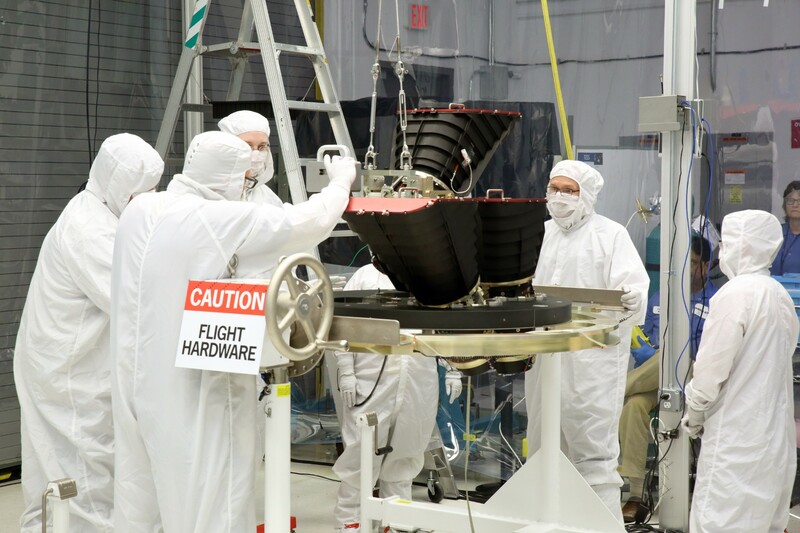 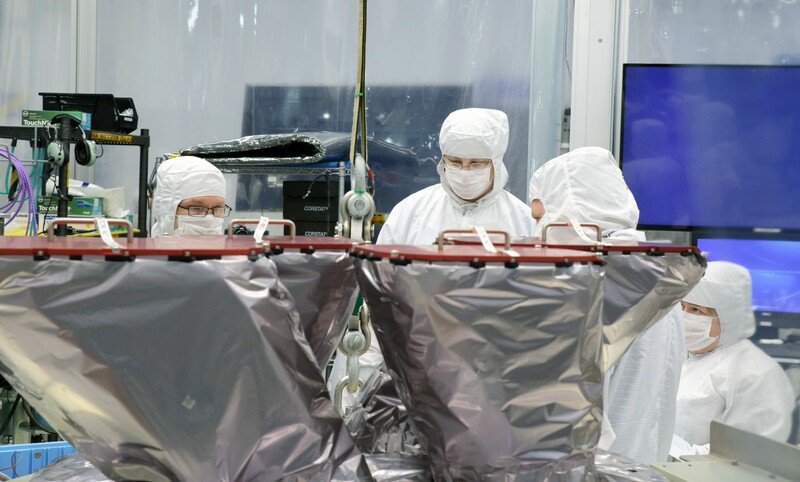 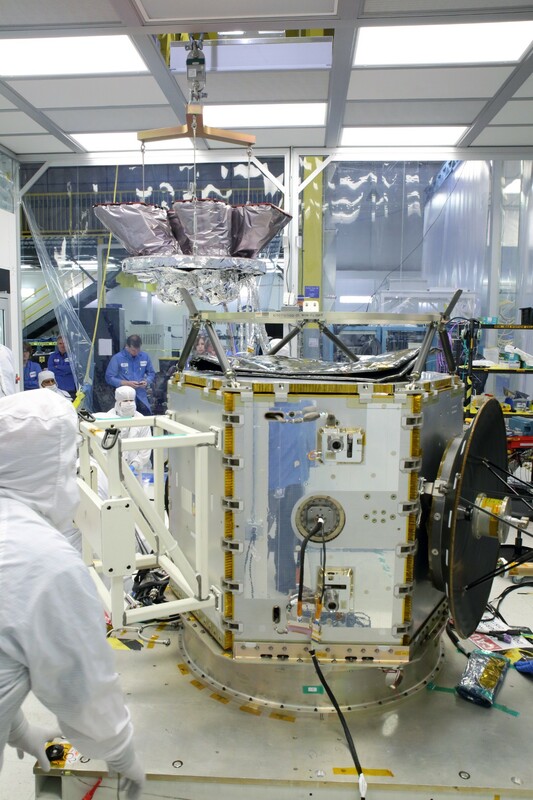 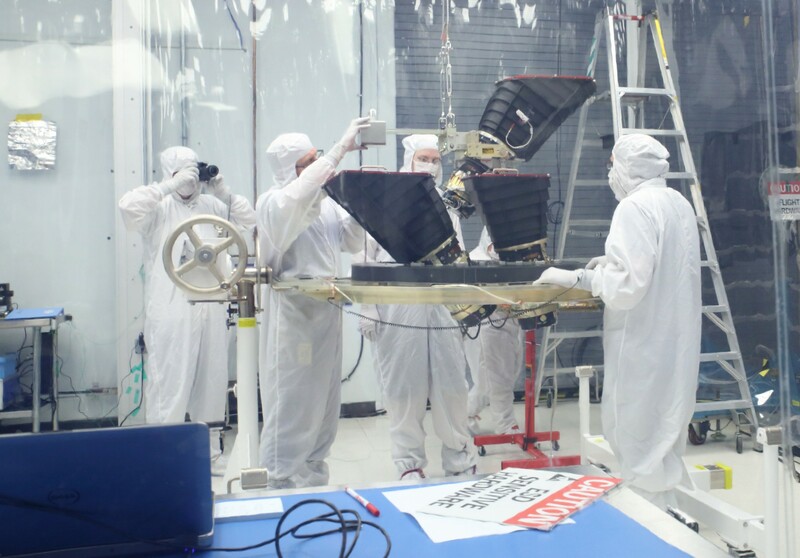 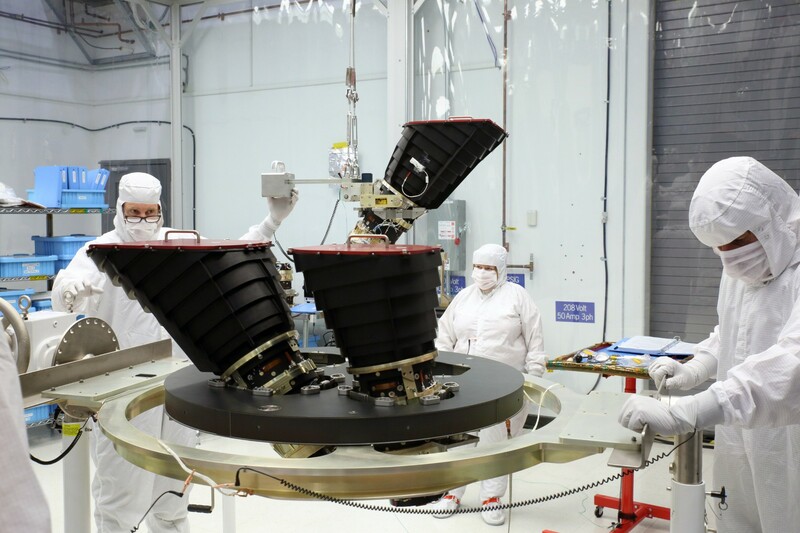 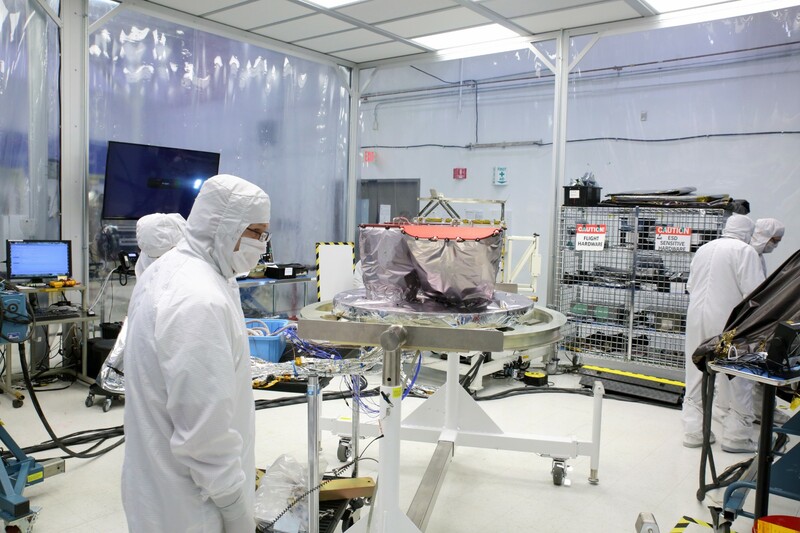 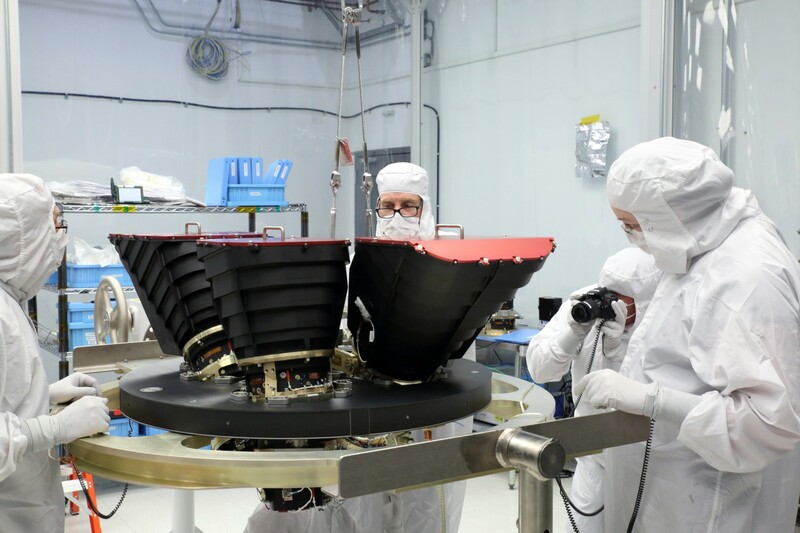 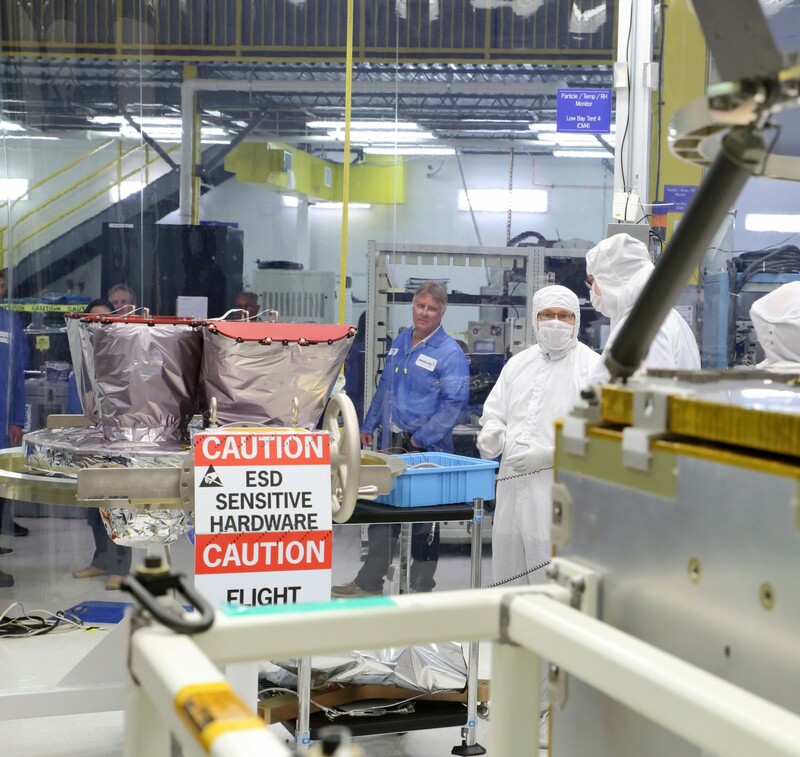 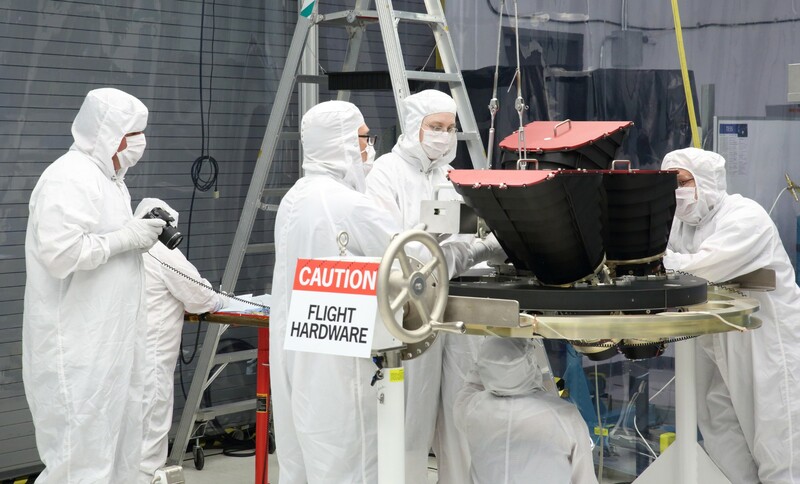 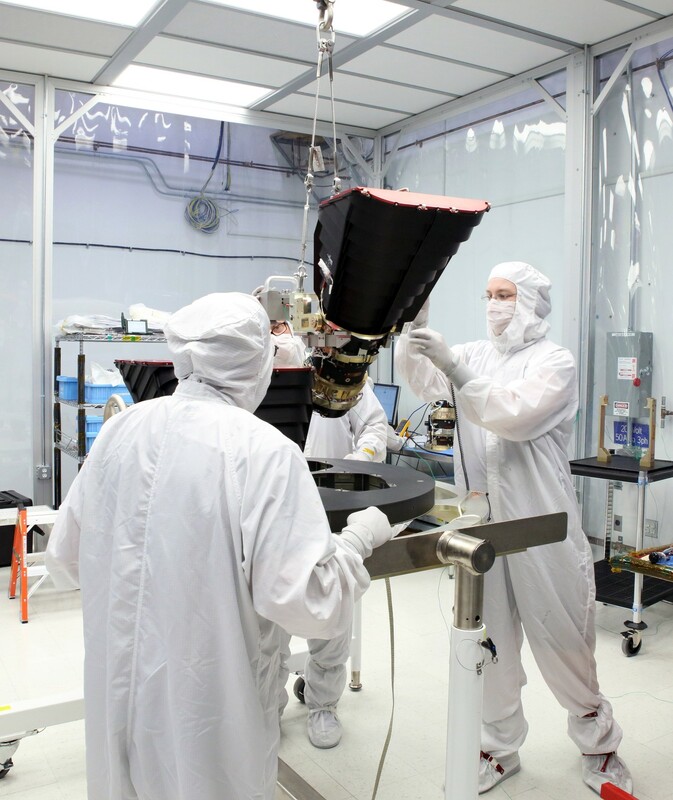 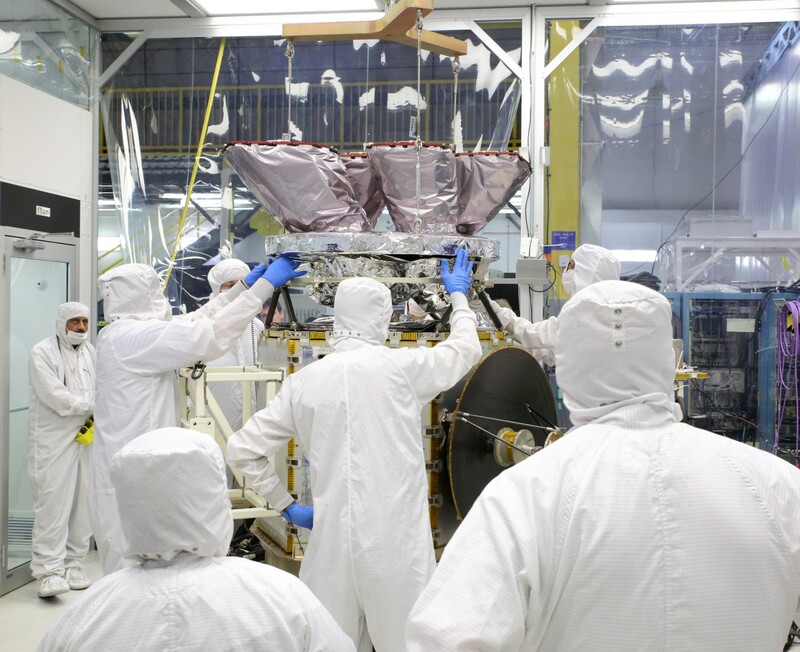 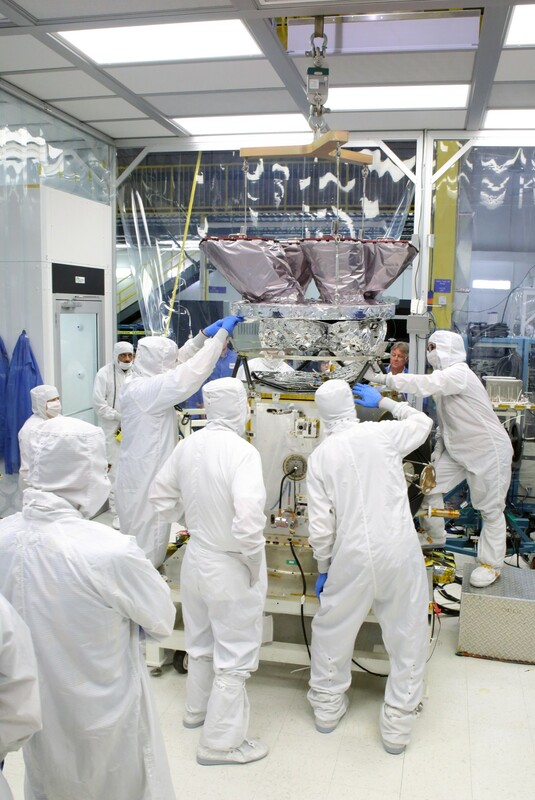 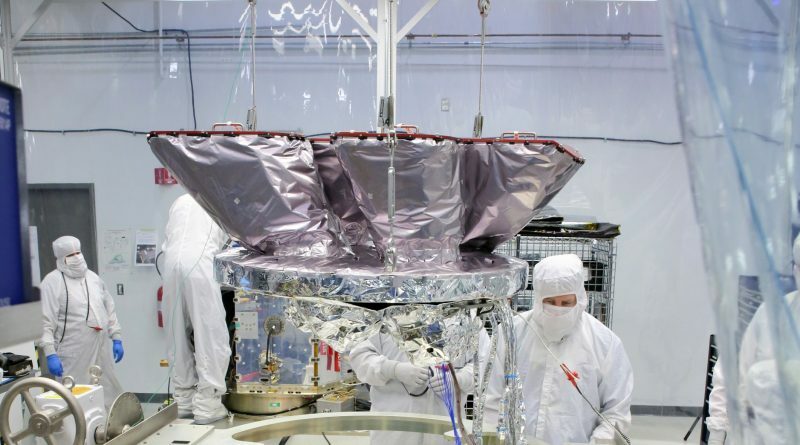 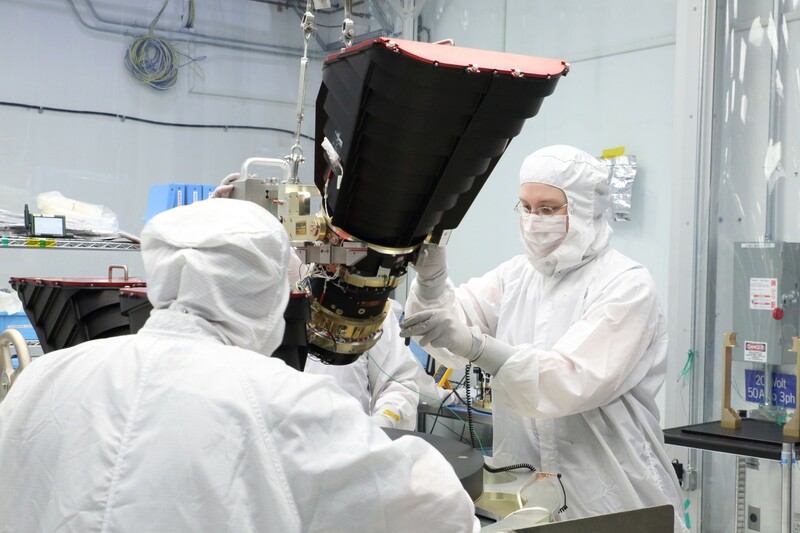 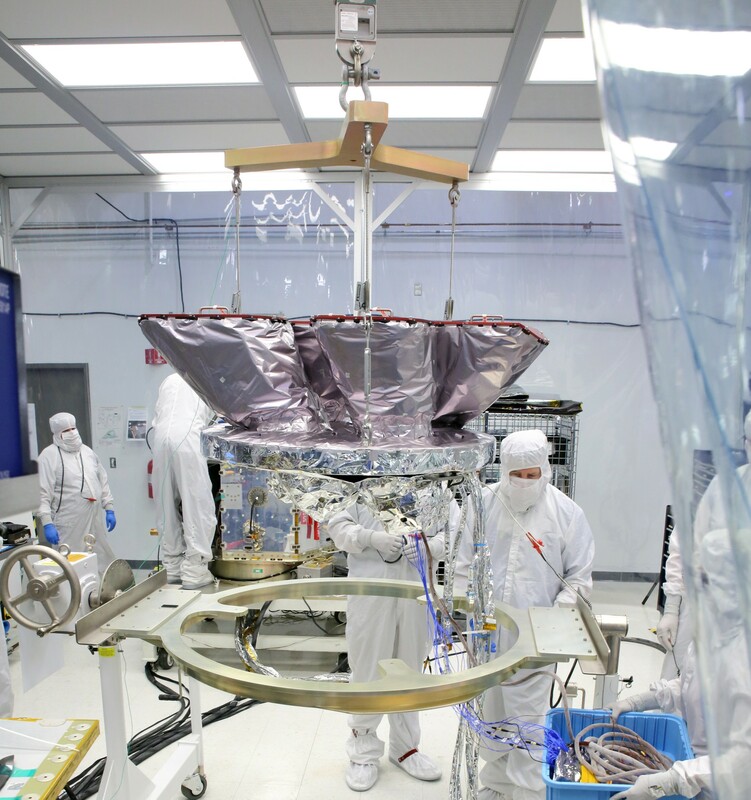 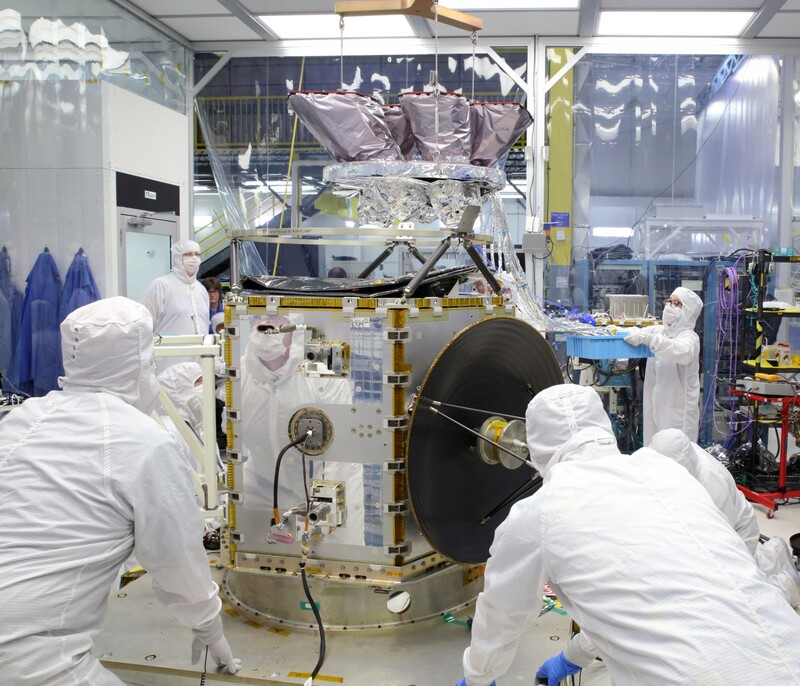 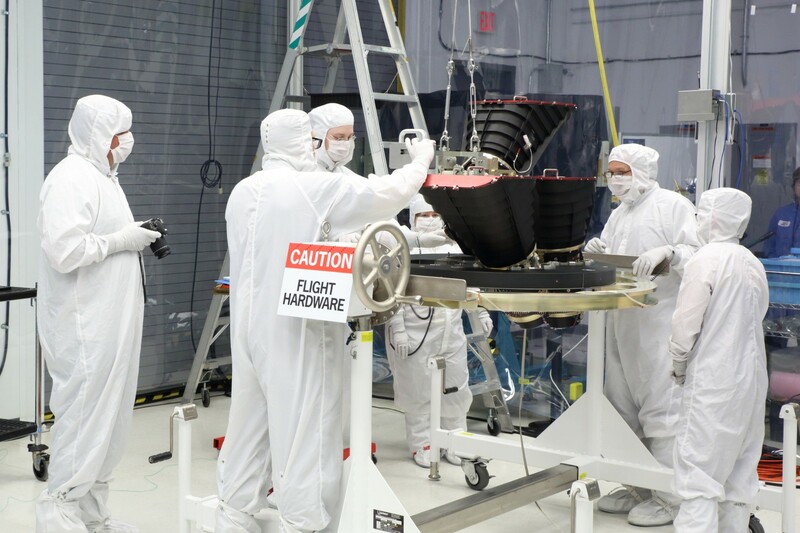 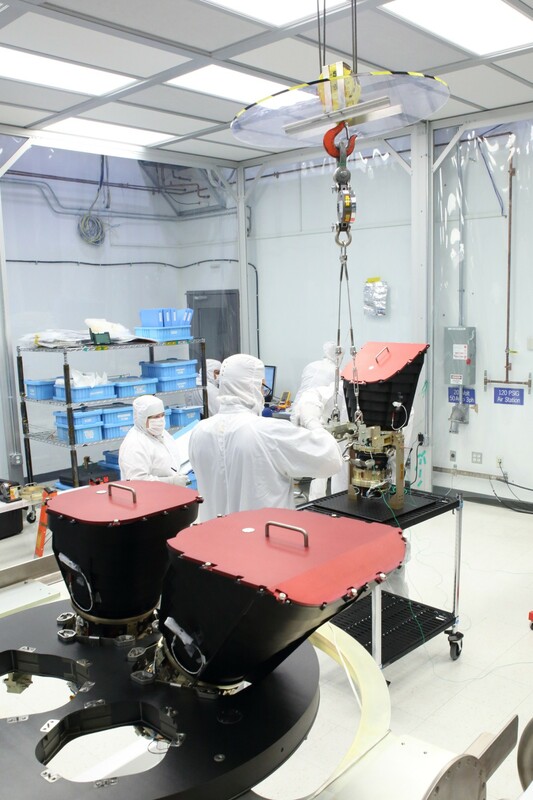 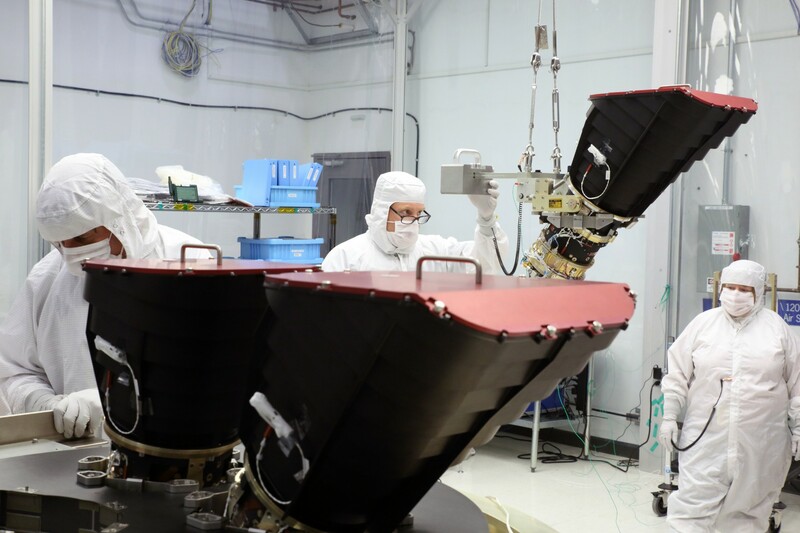 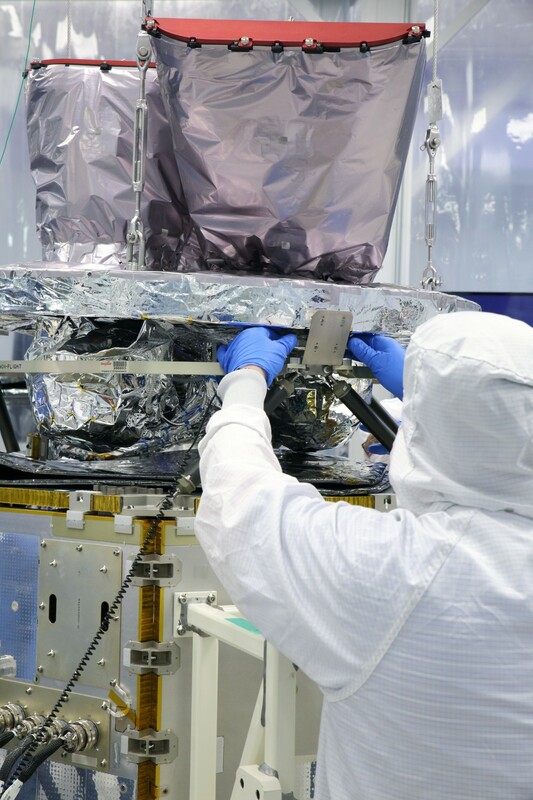 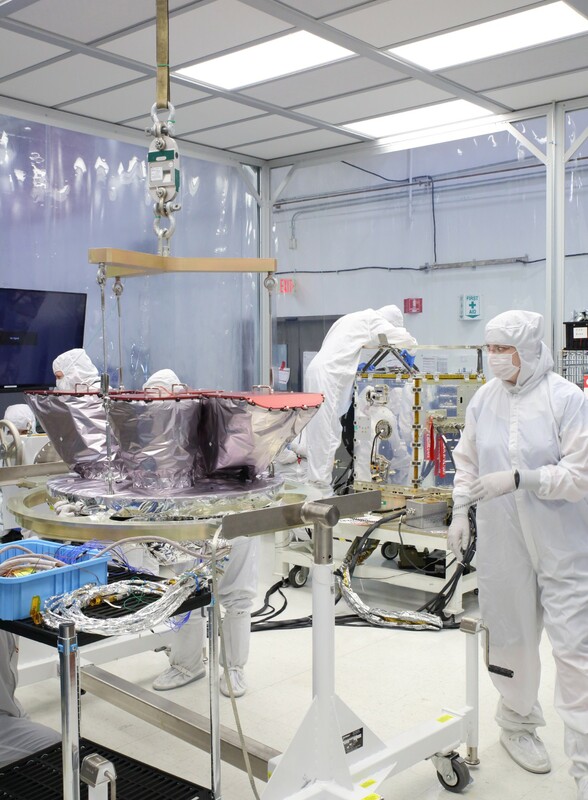 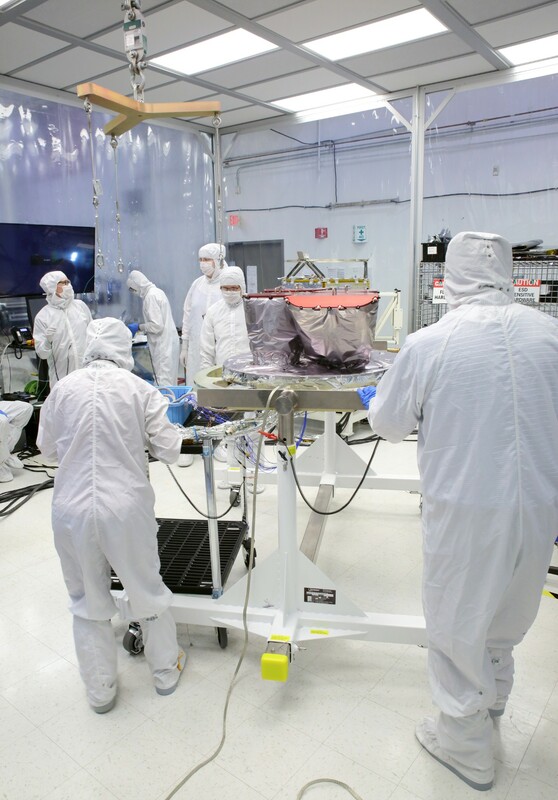 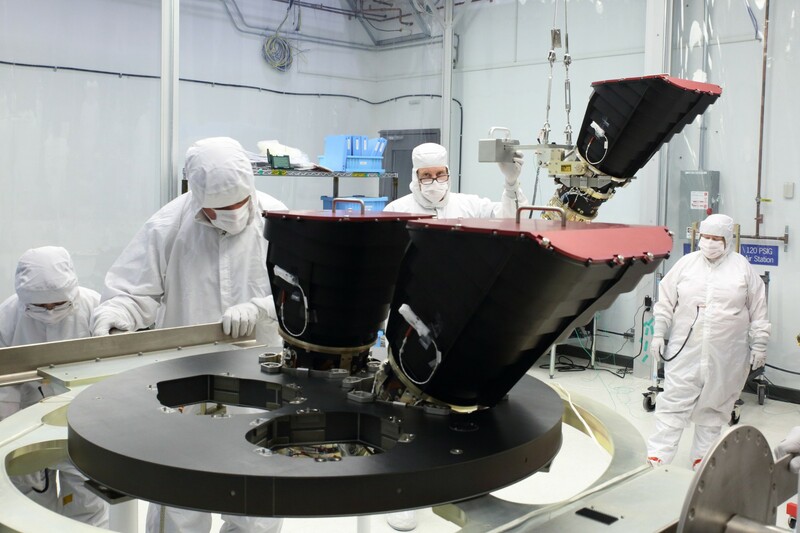 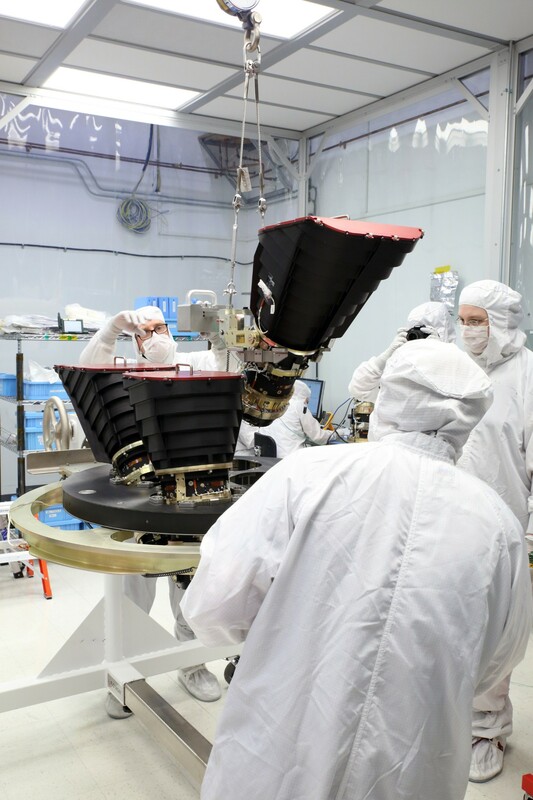 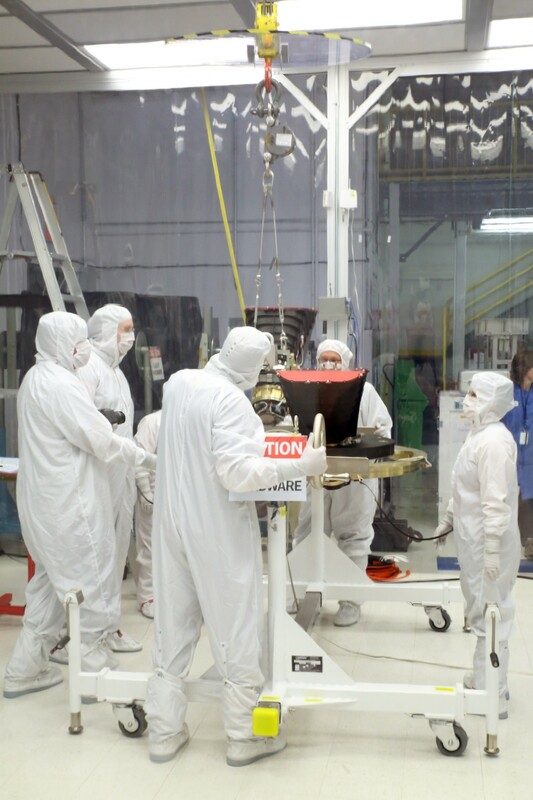 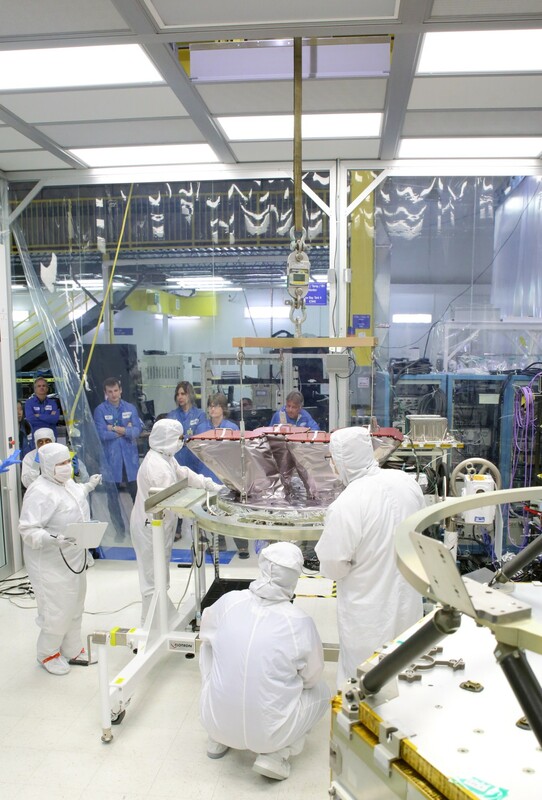 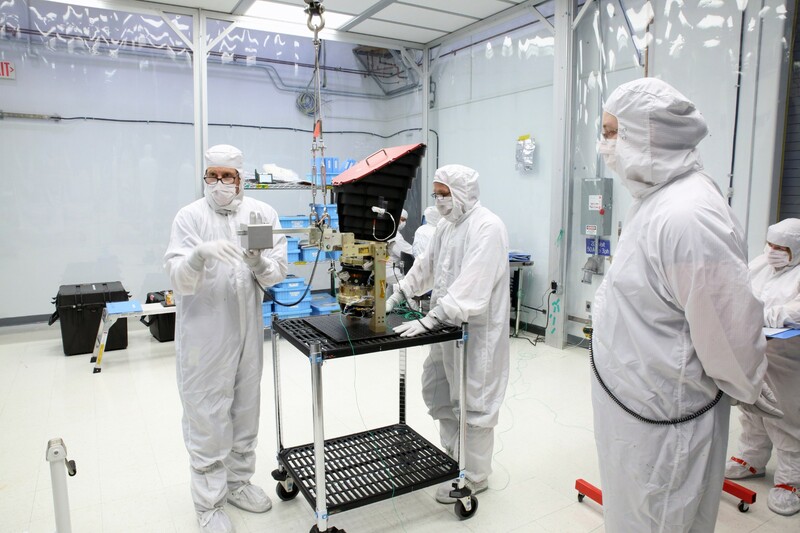 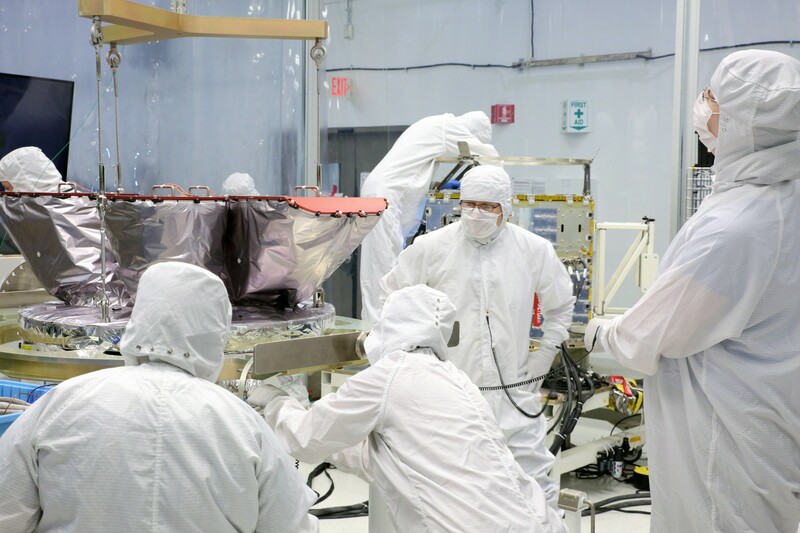 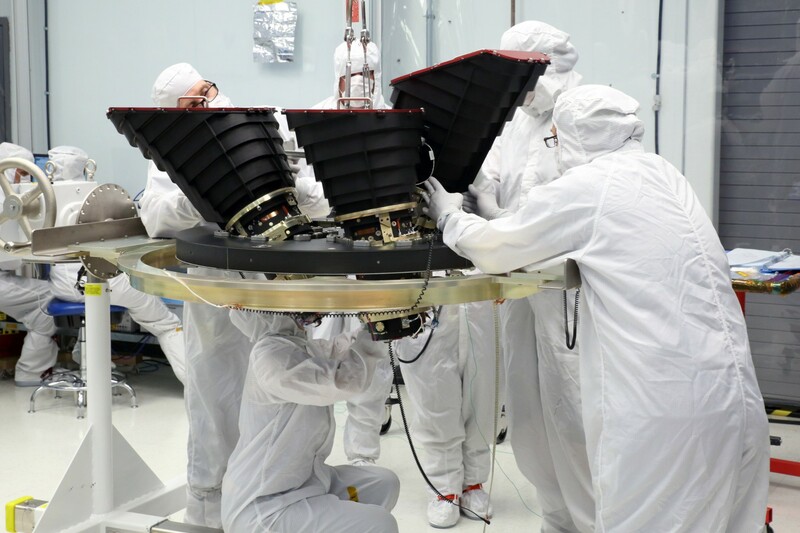 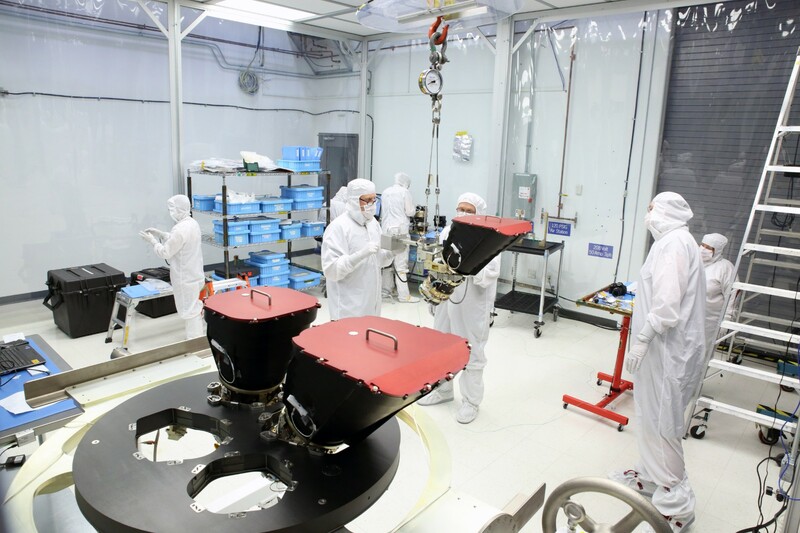 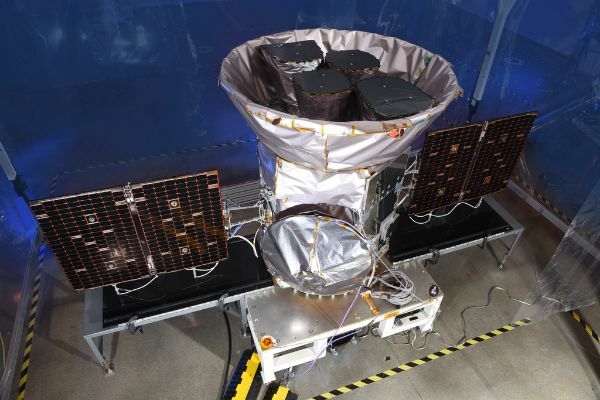 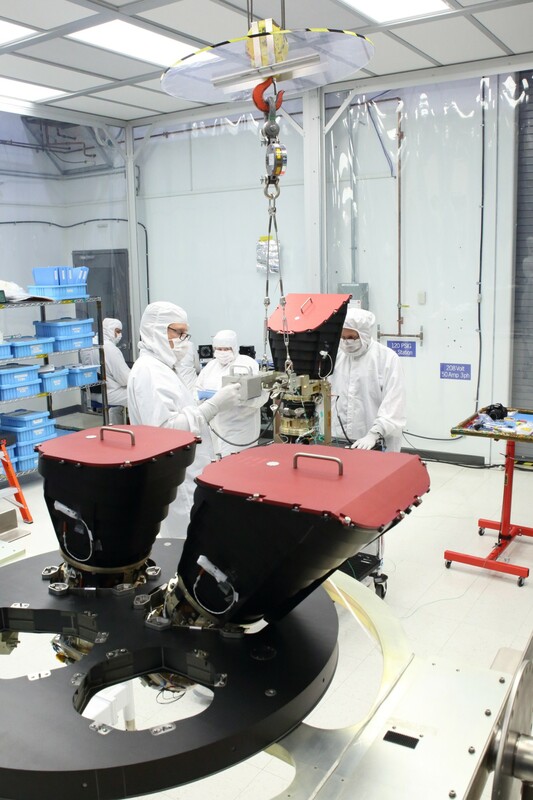 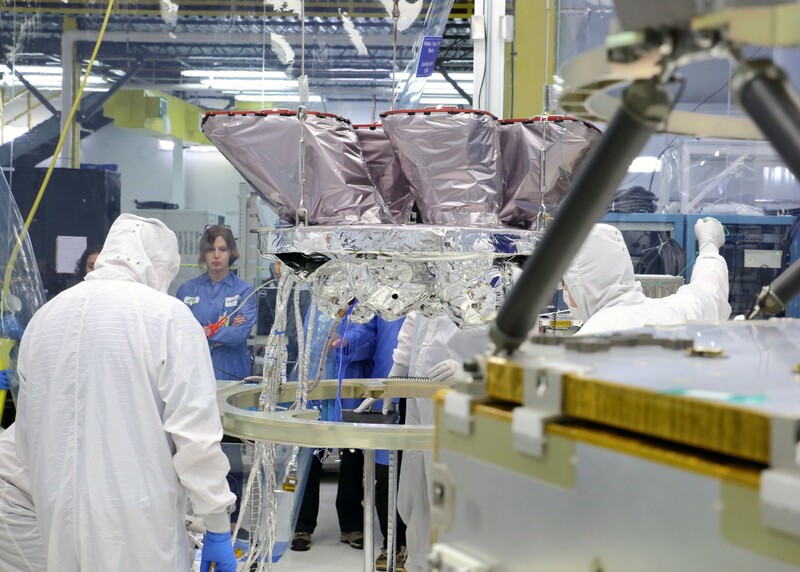 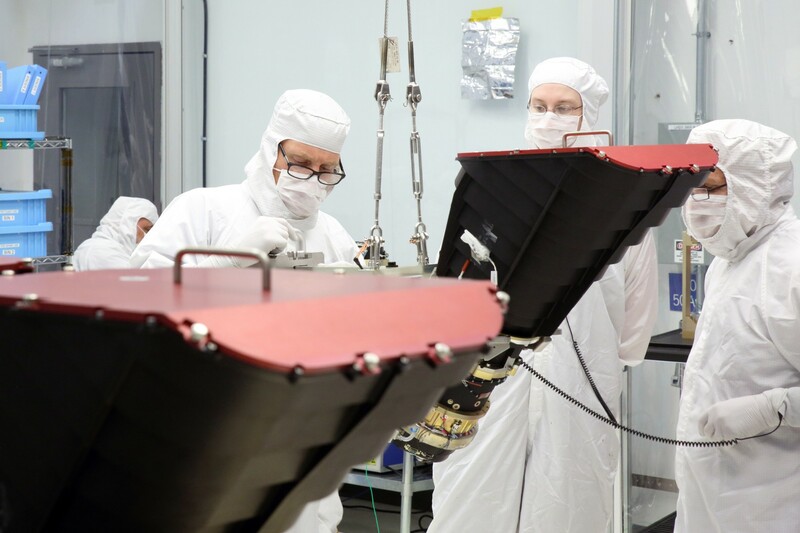 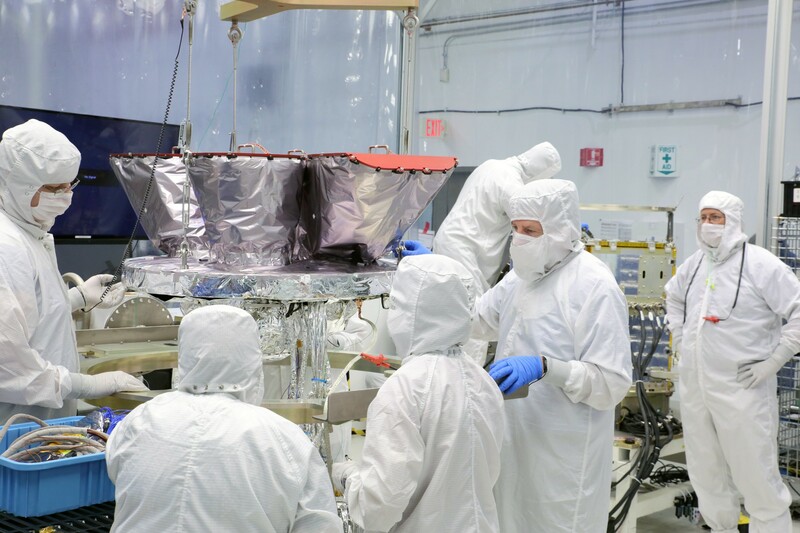 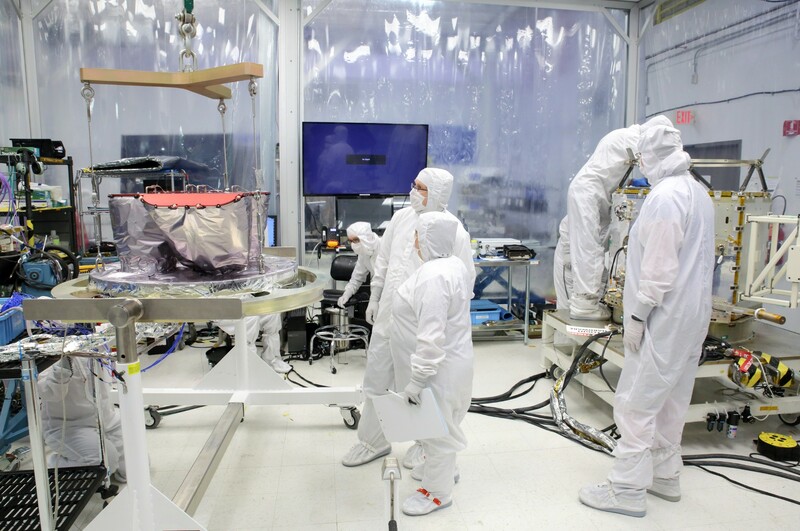 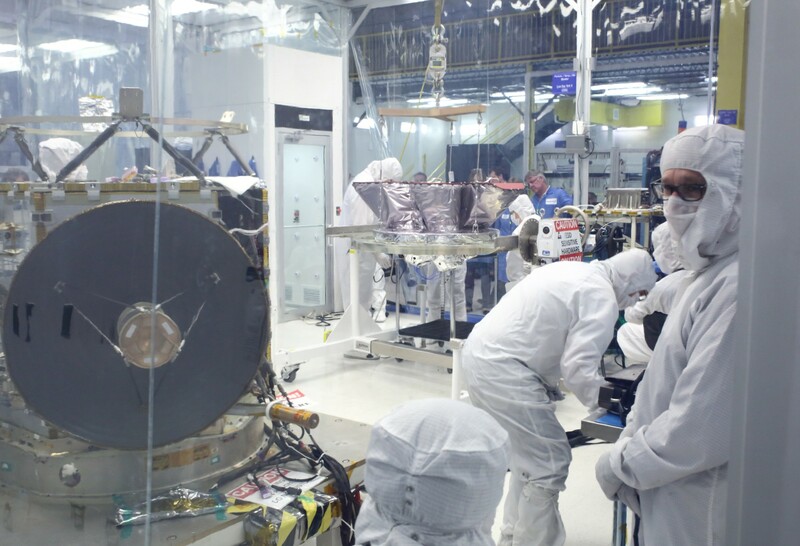 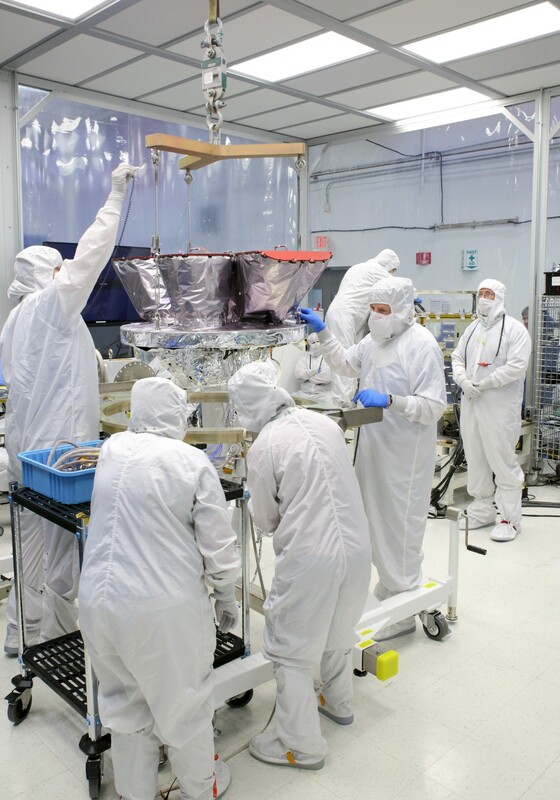 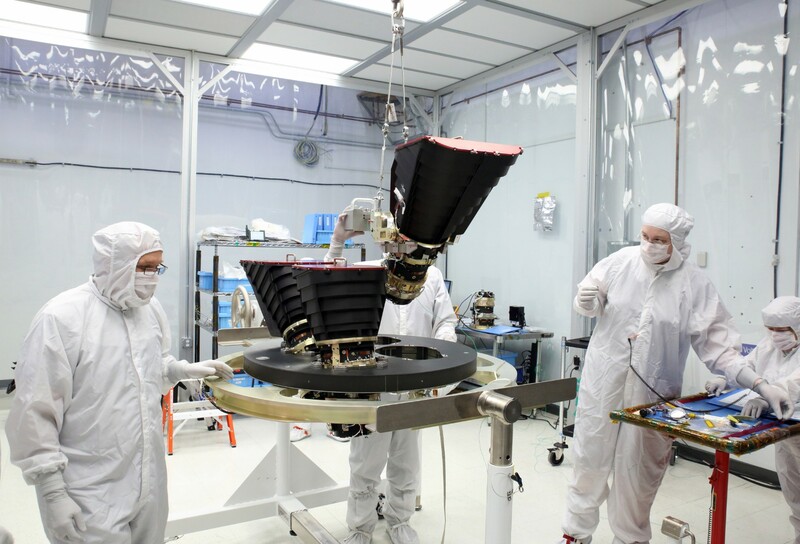 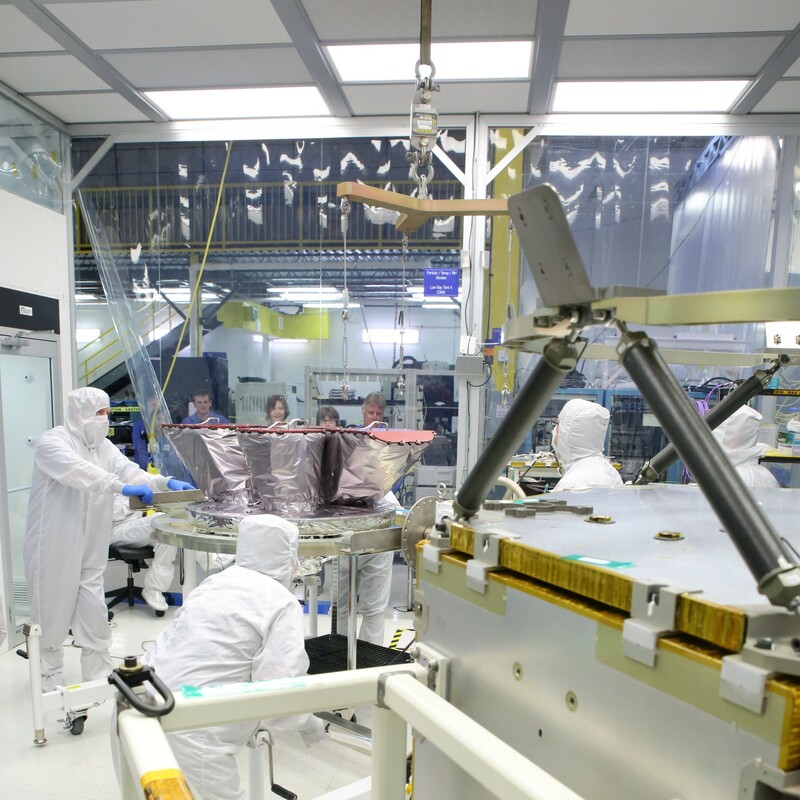 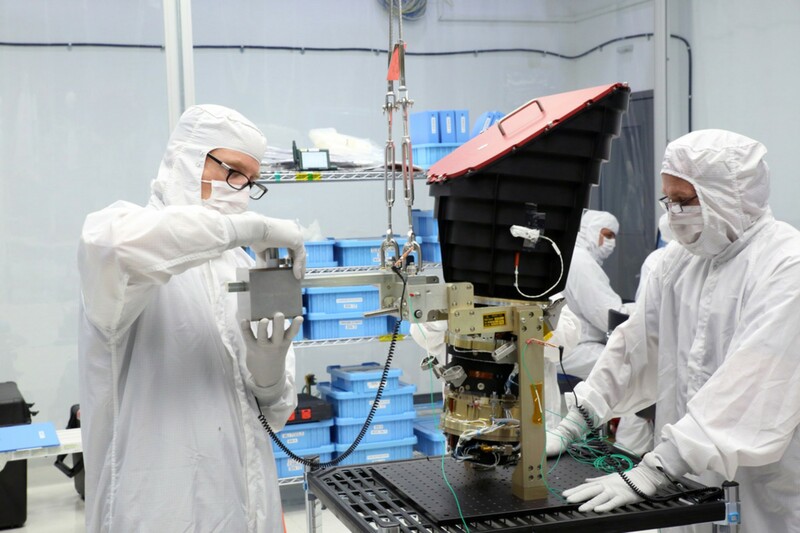 Engineers at Orbital ATK’s facilities integrate the four Wide Field Cameras of the TESS spacecraft onto their structural plate that precisely aligns their individual fields of view to create the spacecraft’s wide-field viewing sector. 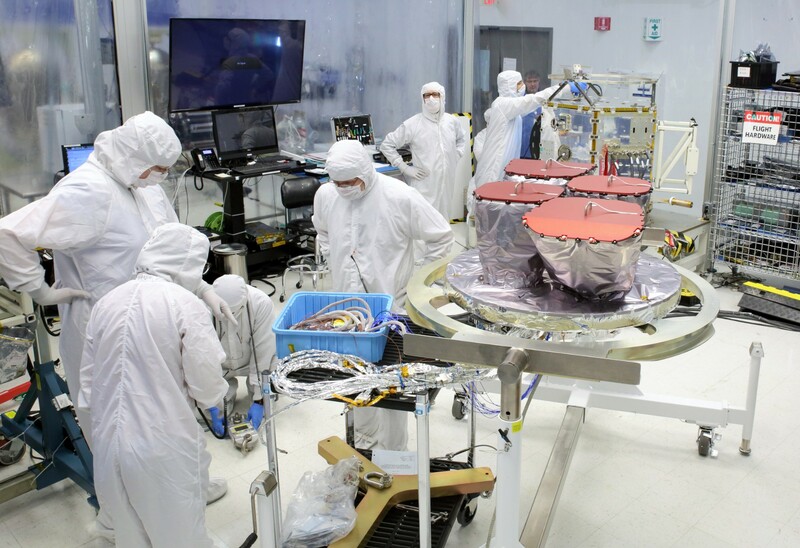 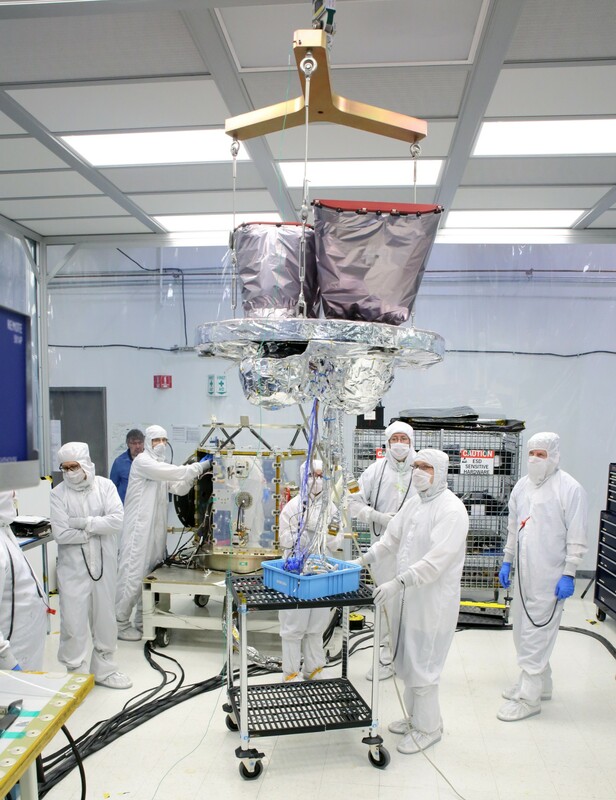 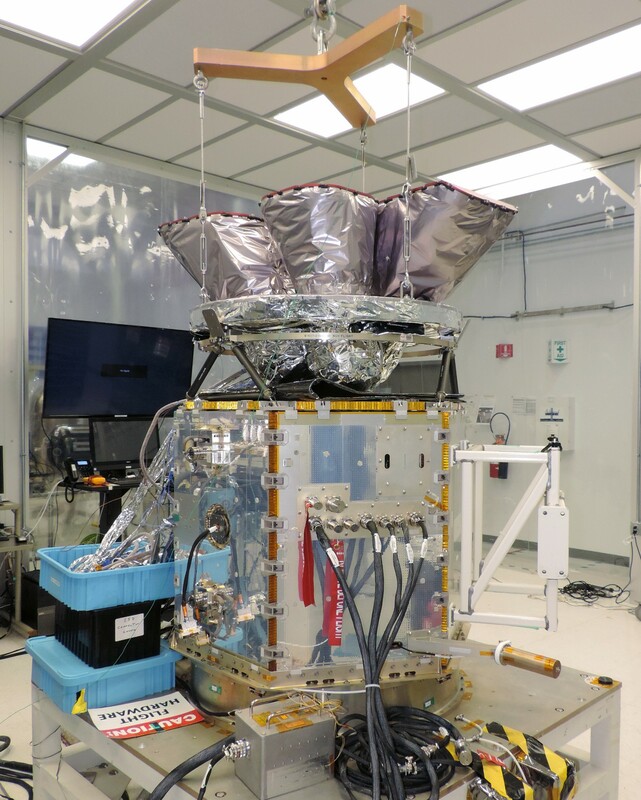 After integration, the instrument module was installed atop the spacecraft platform and associated structural and electrical connections were made before TESS was shipped for final end-to-end testing. 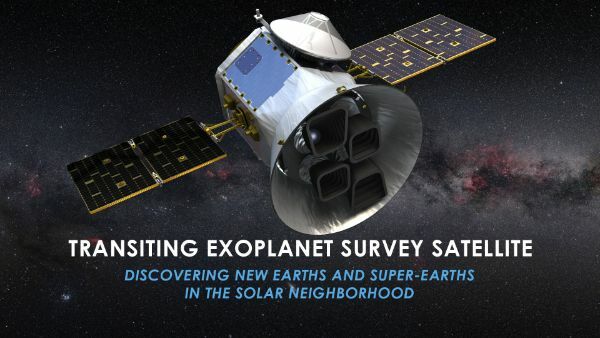 Operating from a highly elliptical high-Earth orbit, TESS will perform a mission of at least two years operating a package of four Wide Field Cameras to obtain the first-ever spaceborne exoplanet all-sky survey to a) detect exoplanet candidates and b) collect valuable information such as mass, size, density and orbit of a large number of currently known and unknown exoplanets with special focus on those in the habitable zone around their host stars.